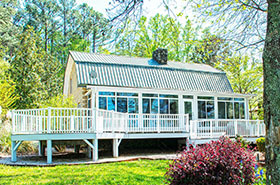 Call (704) 799-0200 or (800) 408-5997 to Reserve your Vacation Home today. 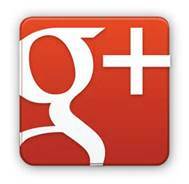 Welcome to Vacations On Lake Norman Homes Page. 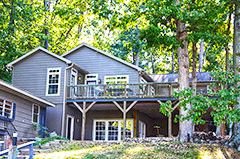 To tour one of our Lake Norman Vacation homes, just click on the photo to reach the property's home page. All homes are rented weekly only from June through end August. Weeks run Saturday to Saturday. Vacation rentals of 2 or 3 nights are available in the off season including early spring and fall. Minimum 3 nights for holiday weekends and Thanksgiving. Must be 25 to rent. We have fully furnished lake front homes available for corporate rentals or monthly term rentals in the off season. Why stay in a hotel, when you could stay affordably on Lake Norman! Custom luxury home with over 5800 square feet of living space and 2 kitchens! Lake Norman Oasis is a custom built luxury home located on a picturesque Lake Norman cove. This home features beautifully furnished, spacious living areas and two fully appointed kitchens with gourmet appliances. Amazing master suit. 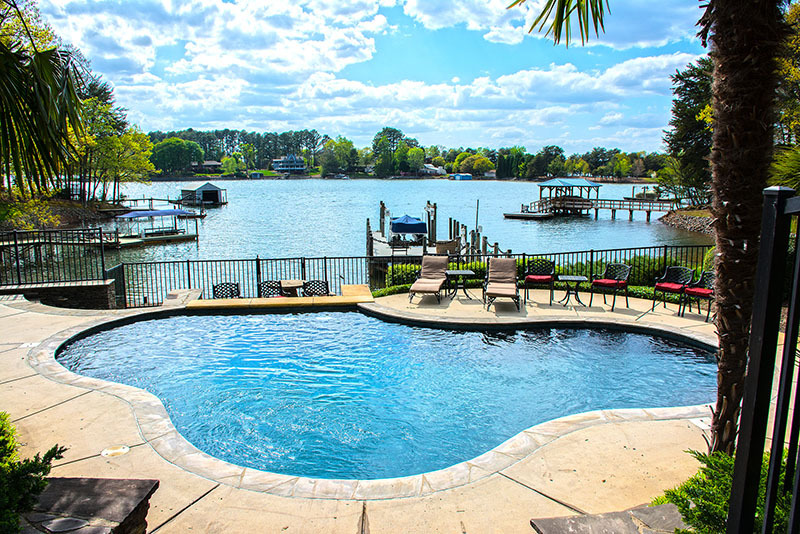 If you want to spend your Lake Norman vacation in luxury, look no further than Lake Norman Oasis. Expansive lake & sunset views! 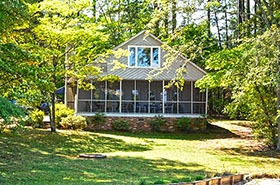 Carolina Cottage is located on a grassy, wooded penninsula, and offers some of the best views of Lake Norman available. Its a bright, spacious home with views of the lake from every room! Custom home with pool on picturesque cove. 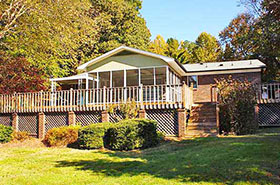 This home has everything for an exciting or relaxing stay on Lake Norman. Located on a beautiful cove its grounds are like a mini-resort. It includes a saltwater pool, a well appointed cabana, and even a waterfall. Inside the home includes a full kitchen on both floors! Beautifully decorated home on quiet cove. You will find surprising luxury in the newly furnished home. Filled with features and appointments vacationers love, this warm, inviting home is located on a quiet. Your family can be one of the first to enjoy this recently added vacation home! Location is Convenient to all of Lake Norman and even Charlotte! Newly furnished log cabin on a beautify landscaped lot that includes a covered dock with great sunset views. Centrally located and near all the most popular Lake Norman communities, including Cornelius, Davidson and Mooresville. 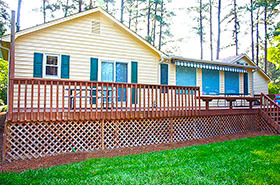 Expansive back deck is perfect for family gatherings. A vacation favorite year after year, Happy Daze is one of the most comfortable vacation homes you will ever enjoy. 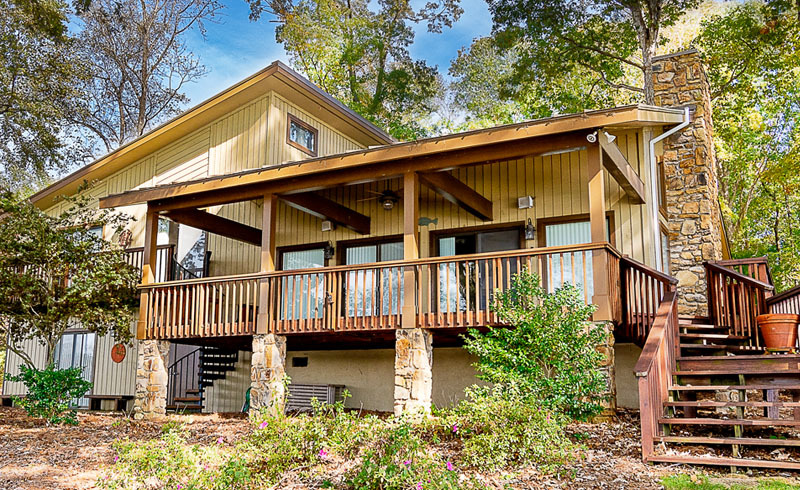 This wonderful lake home includes a large screened porch and deck, and a perfect covered seating area on its dock. It's also located on a hugely popular cove and is close, by boat or car, to dining, attractions and shopping. Remodeled Kitchen with all New Appliances! Roomy home with wonderful sun room overlooking the lake and large grassy yard. Families return to Sunset Haven year after year to enjoy some of Lake Norman's best main channel sunsets from the bright sun room or large covered dock. Everyone loves its great central location for water sports. This very comfortable home also Includes digital cable and premium WiFi. Comfortable A-frame with rustic interior and large screened porch. New carpet in all bedrooms! Spacious dock with gazebo over the water, swim ladder and boat slip. Seasonal sandy beach area that's rare for Lake Norman and perfect for smaller kids. Features a new remodeled kitchen!